AutoNation analysed 173,292 Instagram posts to find out which cars more Americans choose as their first cars. Automotive brands have some of the largest and most engaged followings on social media. This is especially true on visual platforms like Instagram, where auto brands turn fans into brand advocates with compelling stories and beautiful imagery. Not only do people turn to social media to research major purchase, they also share those purchases with their social networks. AutoNation analyzed 173,292 Instagram posts to find out which cars more Americans choose as their first cars. According to the study, Honda and Ford are the most popular first cars on Instagram. 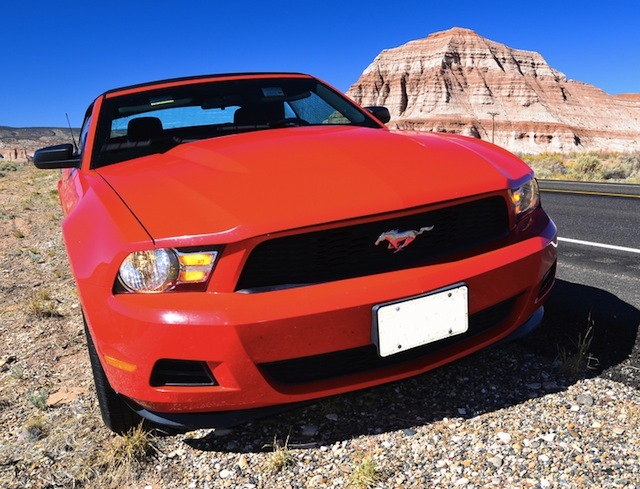 Honda is more popular make overall; however, a red Ford Mustang is the most popular first car in the U.S. Indeed, nearly half of Americans choose a Mustang for their first car and 24 percent of states choose a Honda. Still, there seems to be some disconnect between popular first cars and those that get the most post engagement on Instagram. While luxury brands like BMW and Mercedes-Benz represent a relatively small percent of #MyFirstCar posts, they seem to get a higher percentage of likes. Check out the infographic below to see which colors, makes and models are most popular and where. Image courtesy of SurangaSL / Shutterstock.com.